Listen Up - Boy - Pop! Bang! Boom! You can never have too many girls with guitars. Boy is actually a duo made up of two women. I assume they use the name for fun. 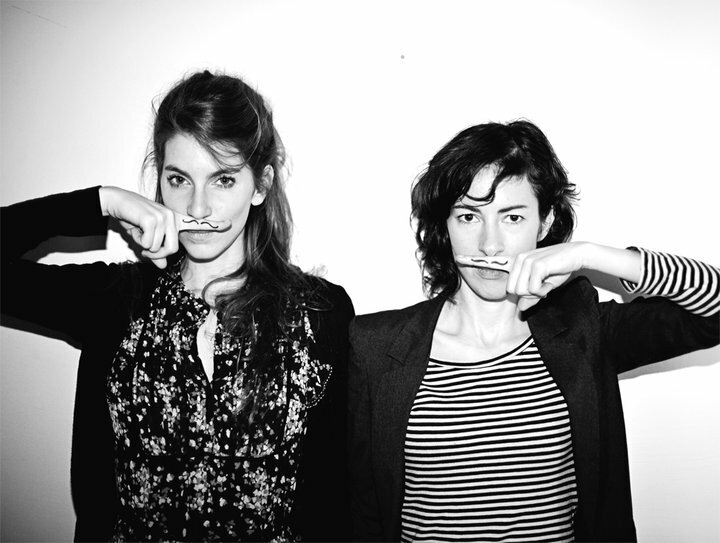 The two women are from Switzerland, but they only founded the group after meeting at a music workshop in Hamburg. They have stayed there ever since, perfecting their craft and making sure that their debut ‘Mutual Friends’ would set them apart from all the rest. And BOY does it (HA!). The album is full of expert songwriting and low-key introspection. The two women own at their acoustic guitars, but we get to sometimes see them take up something else here and there to fill the space and build their sound. The two women (Valeska Steiner and Sonja Glass of course) are obviously extremely talented, and I see no reason why they won’t do fairly well for themselves. Vocally, I don’t know that I could tell you what was Boy and what was Feist, but I’m not saying they are the same. Boy’s tunes are a bit more flushed out, while still being fairly simple and usually more on the melancholic side. Maybe if Sara Bareilles used an acoustic guitar instead of a piano? Something like that, and then not like either of those at all too. I picked out a few of my favorites from ‘Mutual Friends’ so you could listen for yourself. The single from the album is more upbeat than most of the tracks, but the songwriting keeps on pace at all times. See, there is about half their album, just waiting for listening. Again, just my favorites, and I thought you would like them as well. Their CD ‘Mutual Friends’ is not available in the US per se, but you can <a href="http://shop.groenland-records.com/lang-en/63-boy-mutual-friends-cd-pre-order.html">order it </a>from their website. If that doesn’t work, there is always <a href="http://www.facebook.com/listentoboy">Facebook</a>.